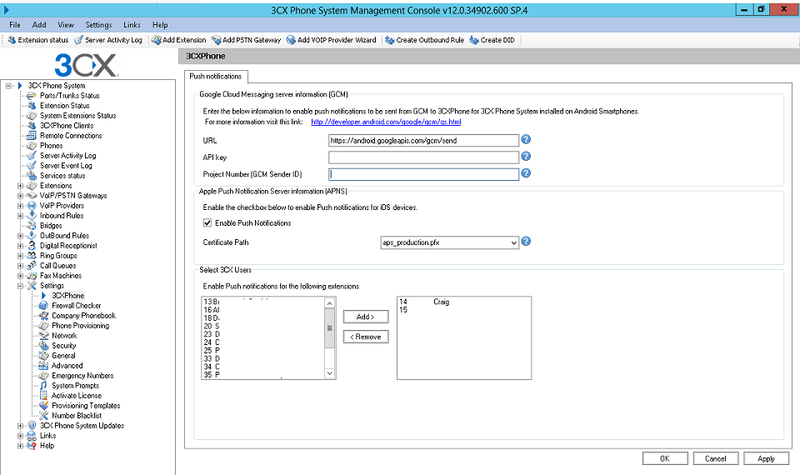 This scenario could be improved if you could configure the 3CXPhone to attempt 'Out of office' registration immediately rather than initially attempting 'In office' and timing out. Having queried this with 3CX we found that this was not possible. The alternative would be to increase the extension timeout to allow more time for the phone to register. In reality 'Push Notifications' are a valuable improvement. If you are connected to Wi-Fi you can use your 3CXPhone as a phone extension without worrying about your phone going into standby and killing the app. 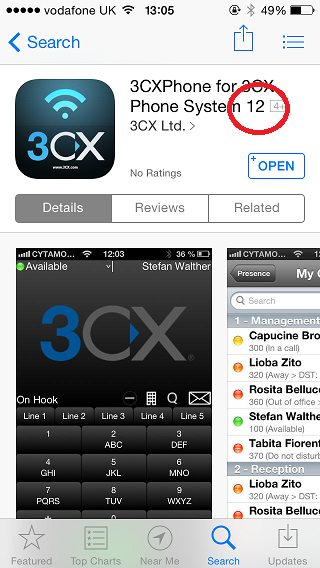 You will still need to respond to the 'Push Notification' immediately in order for the 3CXPhone app to open and register in time but this is perfectly possible whilst on Wi-Fi. 'Push Notifications' are still valuable when on 3G as you are alerted to an inbound call. So even if you weren't able to collect the call in time, you could call the person back. Our conclusion is that if you are a home worker connected to your Wi-Fi network, then 'Push Notifications' are a huge improvement so long as your reactions are quicker than your extension timeout period and could serve as a reasonable replacement to a PC based soft phone or IP Phone. Whilst on 3G, your reactions would need to be lightning quick and you may need to extend the timeout period configured on your extension.